The Oklahoma Insurance Commissioner’s office advises that there are several things you can do to lower your insurance premiums. First, shop around for the company that offers the best coverage for the best price. Second, bundling your homeowners and auto policies often provides you with discounts. Third, you might be entitled to additional discounts for installing such things as hail resistant roofs, smoke alarms and security systems. Finally, you can save money on premiums by increasing your policy deductibles. Given that our state is prone to catastrophic damage from storms, a home inventory list is vital for all Oklahoma families. InsWeb.com advises that an excellent way of making a home inventory is by taking photographs or video of your personal possessions. The inventory you document can include clothing, jewelry, furniture, personal computers and other personal property items. It is wise to keep a copy of your home inventory documentation in another location such as a bank safe deposit box or a trusted family member’s home. If you are the victim of a case involving an insurance claim, call 405-235-4500 or contact us online today. Given that Oklahomans pay high homeowners’ insurance premiums, customers need to make sure that they receive the compensation they are entitled to following a storm which damages their homes. A Fox Business News report suggests that you should not be reluctant to ask your insurer questions as you go through the claims process. Unfortunately, a lot of people tend to shy away from “confrontational situations.” While you do not need to be rude in dealing with the insurer, you have the right to ask questions. Be direct in dealing with the insurer and realize that it owes you a duty of good faith. If you feel that an insurance company is attempting to force you to settle for less than you believe you are entitled to, you should call an Oklahoma attorney who has expertise in handling insurance claims. 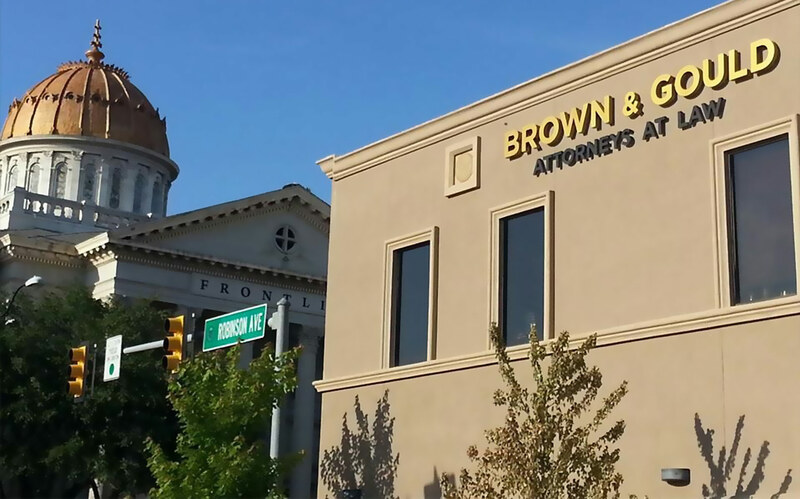 The attorneys at Brown & Gould, PLLC can help you get what you deserve. Call 405-235-4500 or contact us today.